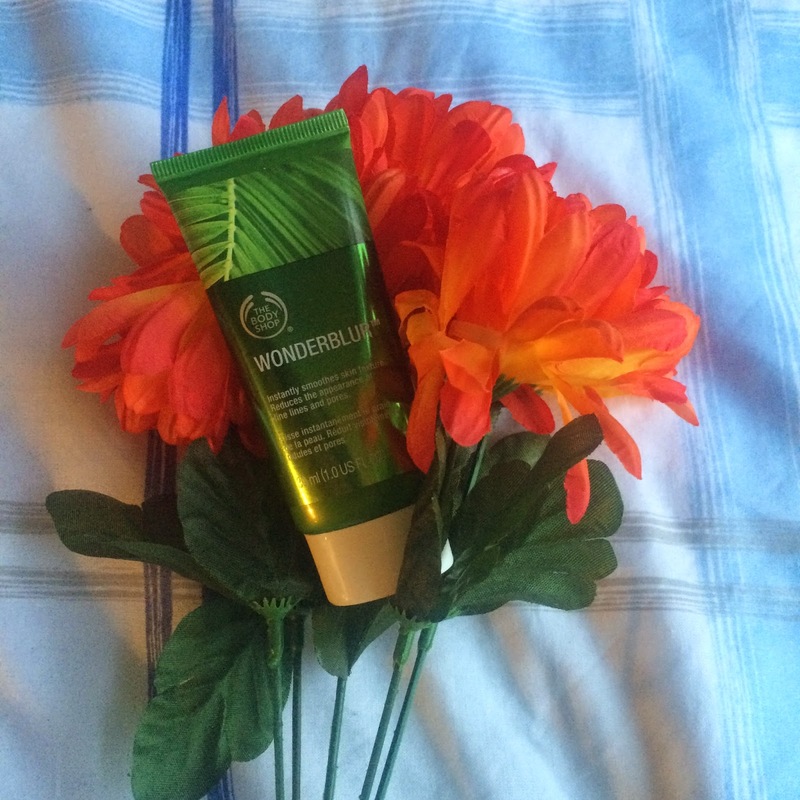 Beautiful You: Review | The Body Shop's Wonderblur Primer! Review | The Body Shop's Wonderblur Primer! I asked on twitter if anyone would like to see this and I got an overwhelming response to see it so today's post is going to revolve around The Body Shop's Wonderblur Primer! I bought this at the beginning of the week and I have been using it everyday since and for me to do a review so quick definitely means I love it! Wonderblur is the new primer from The Body Shop and claims to 'instantly smoothes skin texture and reduce the appearance of fine lines and pores'. As normal I am going to do the review in terms of what I thought of the product, packaging and a few other aspects and then give my overall view at the end! I thought that this product would have a similar texture to that of other primers that I have used however I don't think I have ever come across something like this. It is quite bitty when it has just comes out of the tube but smoothes over the skin so easily once it has been warmed up a bit and the smallest amount goes a long way. Another benefit that I got from this was that it not only made my make-up easier to apply and look smoother but it also made it last so much longer than it normally does and this is a huge plus for me! I love the simplicity of the tube and how clean you can keep it. Simply dispense what product you want onto the back of your hand and there is no waste or spillage anywhere. I also think that you get quite a lot of product in the tube as it is a 30ml tube but then you can cut the end when it is nearly run out and get every last bit out. I am not a fan of products that are in glass bottles because I feel like I waste so much product when I can't get the very last bits! Wonderblur retails for £16 which at first I thought was a bit on the pricey side. Don't get me wrong I know there are other primers out there that are over £20 but for somewhere that I considered to be high street I thought it was a bit steep. However after trying this product the price is completely justified and I wouldn't hesitate on buying it again! I found this so easy to apply, I just squeezed some out of the tube onto the back of my hand and then used my fingers to work it evenly into my face. I do this after my moisturiser as my last step of skincare before I then go in and apply my foundation on top. Overall I really did love this primer and I cannot believe how long it made my make-up last. For me this is a huge advantage because I have to walk 20 mins to uni everyday and this usually makes my make-up look a bit rubbish but with this its stays in place so much longer. I would definitely recommend this to anyone who is looking for a primer or wants to reduce the look of their pores! If you have tried this primer, let me know your thoughts below because I would love to hear what you guys think of it. Also I bought The Body Shop's Insta Blur Primer which I wasn't so fond of so if anyone likes it and wants to buy it off my let me know in the comments or on twitter as I only used it once! I hope you enjoyed this post and I shall see you all again next week!